Stainless steel multifunction PyroClean is rated 4.4 out of 5 by 29. 596W x 572D x 595H(mm) ? 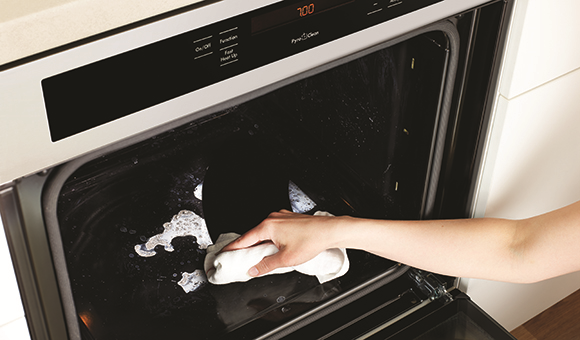 Easily clean the oven using minimal effort and without harsh chemicals. 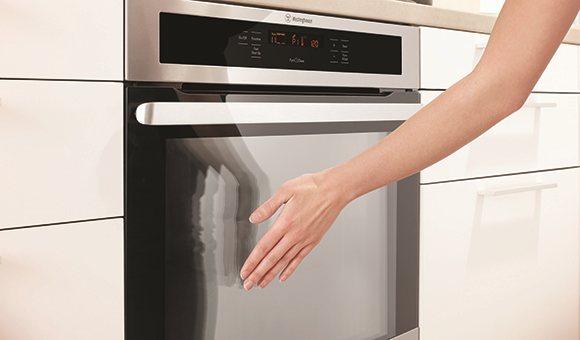 Safely heat the oven to a high temperature to turn different levels of grease and grime into ash. Then just quickly wipe the residue away. Rated 5 out of 5 by JanMac from Great features. Purchased this oven to update our old one. Silent cooking/baking even when using the fan bake. Also with 4 panes of glass in the door the heat is kept in the oven and doesn't heat the kitchen. Fabulous cooking results. highly recommended. Rated 4 out of 5 by jimbul from Excellent oven Big improvement on the old Westinhouse and bakes well. Only downside is the timer function that is difficult to master. Rated 5 out of 5 by Rusev from Fantastic Oven This oven cooks everything perfectly. Roasts, pies, cakes, lasagne, pizza, everything. The fast heat option is awesome. It heats the oven up in a few minutes. The grill works really well for melted cheese, crumpets, anything you like. The heat is even throughout the oven and everything is visible through the triple glass door. The dials are easy to use, the digital temperature is very clear and the pyro works a dream. There is nothing to fault with this oven. Rated 5 out of 5 by Richo from Westinghouse Great Oven After renovating the kitchen we installed this oven and its been a dream to use and always cooks everything to perfection. 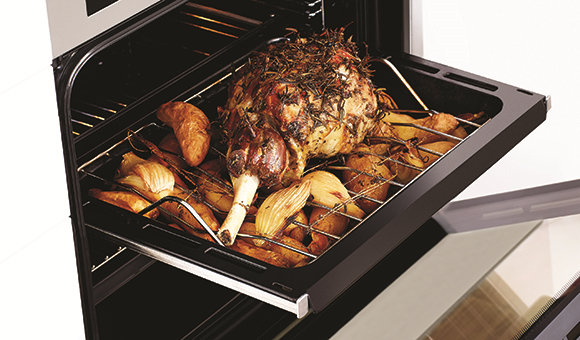 Its has great features that are easy to use and understand, making it a great oven for every day and family uses. It also is fantastic to clean being pyrolytic oven. 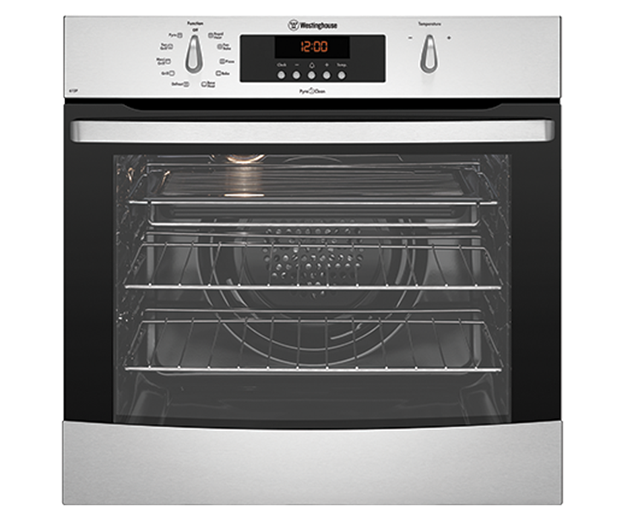 Would highly recommend the Westinghouse product extremely functional, affordable, reliable and practical. Rated 5 out of 5 by Tania from Easy to use oven This oven is great, super easy to clean. I particularly like the way it is so easy to remove the glass from the door to clean. Good size fits all my big dishes. Comes with plenty of racks as well, and having the rack for grilling is great. Food cooks through really evenly whilst maintaining moisture. Rated 4 out of 5 by Taipanjono from Easy to use oven I needed a reasonably priced oven with useable features and of decent quality. This lead me to a Westinghouse pyrolytic model, which over the last 3 months has proved to be adequate for the job. Rated 5 out of 5 by Weeze from Fantastic fast heat option Looks good. Works very well. Cooks evenly. Fan or bake options both great. 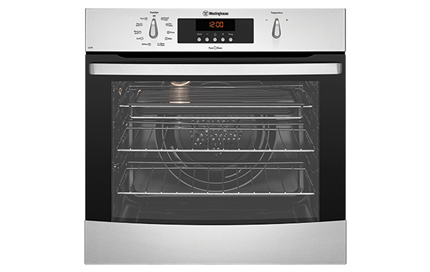 Cleans very well which is the main reason for buying this oven.